Volume 4, Edition 47 Trouble loading? View this email online. 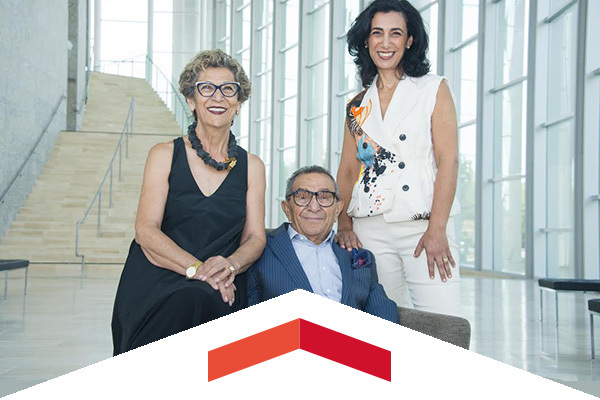 President Dianne F. Harrison announced earlier today that CSUN’s Valley Performing Arts Center has been renamed the Younes and Soraya Nazarian Center for the Performing Arts in recognition of a $17 million gift from the Y&S Nazarian Family Foundation, the philanthropic foundation of Younes and Soraya Sarah Nazarian and their family. The gift will support the programming and operations of the award-winning performing arts center, which has become one of the cultural jewels of the region in the six years since it opened. The gift is one of the largest in the history of the California State University and the system’s largest single gift to support the arts. 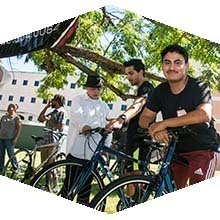 CSUN’s EOP Resilient Scholars Program and the nonprofit organization Bikes4Orphans teamed up for the first time to give away 17 bicycles to CSUN foster youth students. 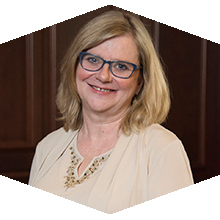 Before being named Aerospace’s 2005 Woman of the Year, Patricia Maloney was learning the tools to becoming a successful leader. Now, she’s one of CSUN’s 2017 Distinguished Alumni. Thur, July 20, 7:30 p.m. In a galaxy far, far away, Star Wars came to CSUN! The upcoming AS Summer Movie Fest is bringing the force to the Oviatt Lawn so get there early. Guarantee yourself a great seat for upcoming Younes and Soraya Nazarian Center for the Performing Arts shows by ordering your tickets today. CSUN has climbed to No. 7 nationally in the Forbes #MyTopCollege rankings. There’s just one week left, so go to Twitter and Instagram and tell us why CSUN is #MyTopCollege. Forty-eight years, 195,000 miles and a U.S. record later, Jon Sutherland hasn’t stopped running. For nearly five decades, Sutherland has run at least one mile a day, many of which — 60,000 by his count — have come at CSUN. After becoming the first player in more than 25 years to lead the Big West Conference in scoring, rebounding and blocked shots, the conference’s 2017 Player of the Year earned an invitation to the five-day USA Basketball camp. The Matadors’ first home game will take place on Aug. 31 against Weber State. The latest installment of the CSUN Sports Network web series highlights the Big West Championships won by CSUN men’s and women’s soccer and women’s outdoor track and field, and features a report on CSUN’s trip to FOX Sports San Diego. The fourth annual CSUN Student-Athlete Summer Success Program kicked off with 24 Matador freshmen being officially introduced to life as student-athletes. Thanks in part to the knowledge she gained at CSUN, Jenny Windle received the Paul B. Clark Lifetime Achievement Award, an award given to individuals who demonstrate exceptional leadership in the communications field.